Author: Robb, J.D. Set In . . . 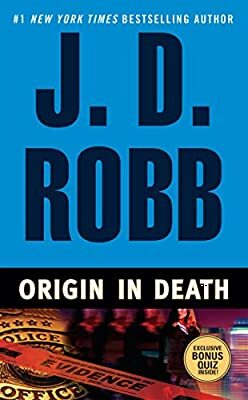 Description: Detective Eve Dallas tracks the cunning, cold-blooded killer of a doctor and his son in this novel in the #1 New York Times bestselling In Death series. A pioneer of modern reconstructive and cosmetic surgery, Dr. Wilfred B. Icove, is found dead in his office—murdered in a chillingly efficient manner: one swift stab to the heart. Struck by the immaculate condition of the crime scene, Dallas suspects a professional killing. Security disks show a stunningly beautiful woman calmly entering and leaving the building—the doctor’s final appointment. Known as “Dr. Perfect,” the saintly Icove devoted his life to his family and his work. His record is clean. Too clean for Dallas. She knows he was hiding something and suspects that his son—and successor—knows what it is. Then, like father, like son, the young Dr. Icove is killed…with the same deadly precision.